The preseason watch lists for the 2013 Niagara Track & Field Hall of Fame will be released the week of November 18, 2012. The 2013 awards are based on the 2012 - 2013 School year. For the College awards, the NCAA Outdoor Track & Field Championships marks the end of the of school year. 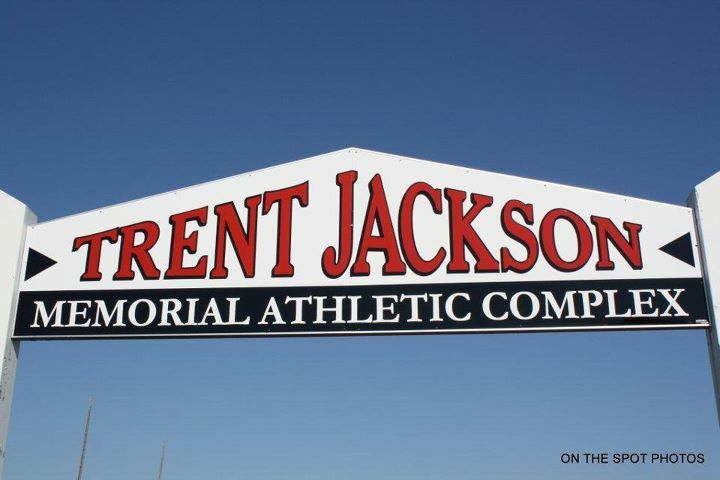 For the High School awards, the USATF Junior Championships and New Balance Outdoor Nationals mark the end of the school year. Performances in Cross Country Running, Indoor (Winter) Track & Field, and Outdoor (Spring) Track & Field will be considered. Performances or participation in other sports will NOT be considered. 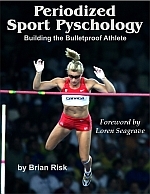 Periodized Sport Psychology - Building the Bulletproof Athlete by Brian Risk. Brian Risk will be presenting clinic sessions on Sports Psychology at the New Balance Indoor National Championships in New York City on March 12-13, 2011. Click the book cover above to learn more about or to order this outstanding new book. Brian Risk has produced a book that demystifies mental conditioning and gives the coach and parents a step-by-step handbook to systematically implement the principles behind sport psychology into daily practice and every day life. Author of "The Science of Hurdling and Speed"
If you are to compete at the highest level or just to be at the top of your genetic potential Brian's book is an indispensable part of what the coach and athlete need to achieve that aim. Sportsmen need to prepare all parameters of performance and Brian has outlined and outfitted you to do just that. His approach covers masterfully in an easily digestible format what one needs to do and practice to allow that 5% to direct that 95% to its genetic best. All of what one needs to improve psychological performance is there. This is one book or in this case one course that the coach and athlete should not be without. Mental skills are attainable, but must be practiced the same as any physical skill. Let Brian help you to expand your ability to be the 100% complete athlete. This work is extremely well done. Dr. Track Interviews Angela Williams, 2008 World Indoor 60 meter champion. Dr. Track Interviews Michael Ford, new coach of Jeremy Wariner. Do you get our FREE This Day In Athletics Daily Newsletter? Get birth dates and records set today and every day sent to your inbox. Do you get our FREE This Day In Athletics Weekly Newsletter? Get birth dates and records set during the coming week sent to your inbox. This newsletter is sent on Wednesday of every week. Glass Dragon Digital Publishing is now offering Coaching Education articles in PDF format. See the Glass Dragon Digital Publishing web site. Training Theory - A Primer on Periodization by Dr. Marc R. Grosso in the April 27, 2006 edition of The Coach (published in England). This article was reprinted in the July 2006 edition of Modern Athlete and Coach (published in Australia). It was also reprinted in the Spring 2006 edition of the IAAF Regional Development Center Bulletin for Beijing, China. Training Theory - Additional Considerations by Dr. Marc R. Grosso in the July 27, 2006 edition of The Coach (published in England). This article was reprinted in the October 2006 edition of Modern Athlete and Coach (published in Australia). Developing An Athletics Training Program by Dr. Marc R. Grosso to the October 27, 2006 edition of The Coach (published in England). This article was reprinted in the January 2007 edition of Modern Athlete and Coach (published in Australia). To have an article published on Glass Dragon Digital Publishing see the web site for details. Nominations for the Hall of Fame Class of 2013 are due by February 15, 2013.
, to request nomination materials. Nominations may be submitted electronically.